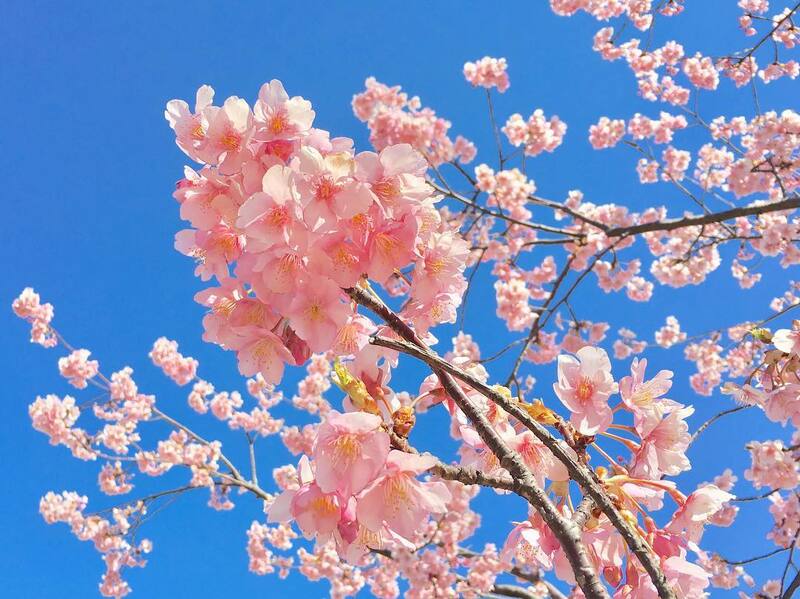 It's around late March or early April that our feeds get peppered with posts of cherry blossoms from Japan. 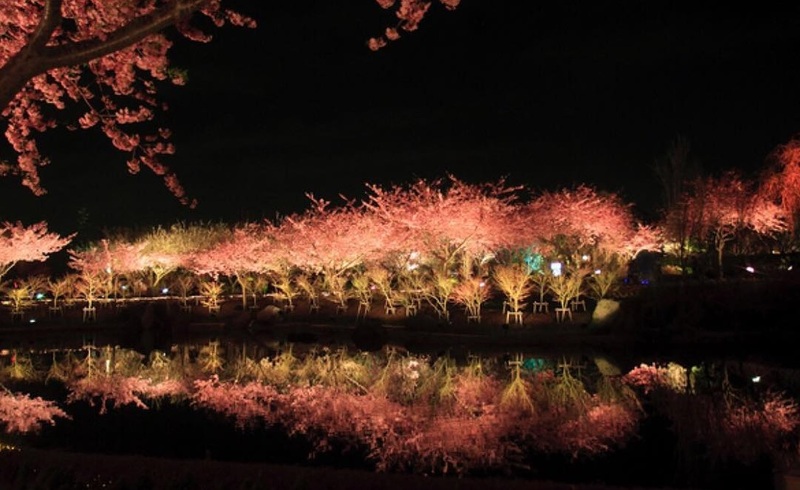 That's because the famous sakura flowers bloom during springtime around those months. 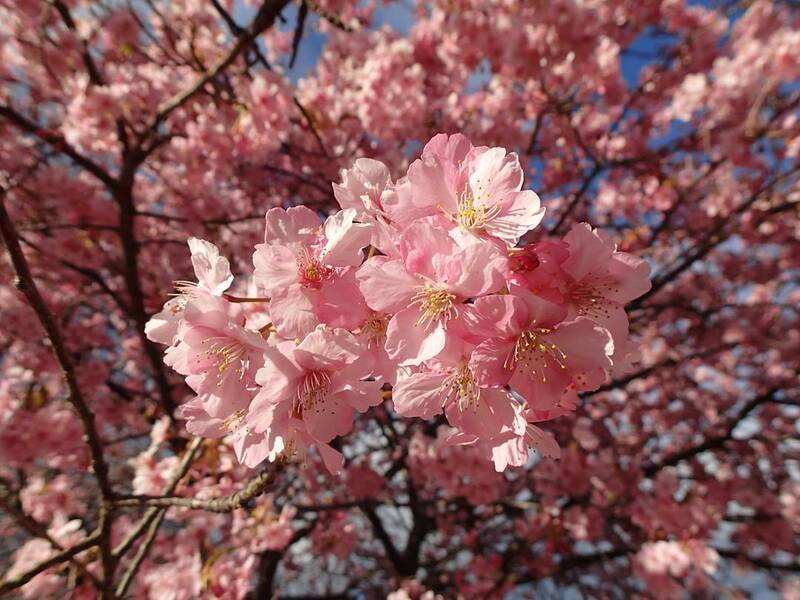 But there's a small town outside of Tokyo called Kawazu where spring comes early and the flowers bloom around February. 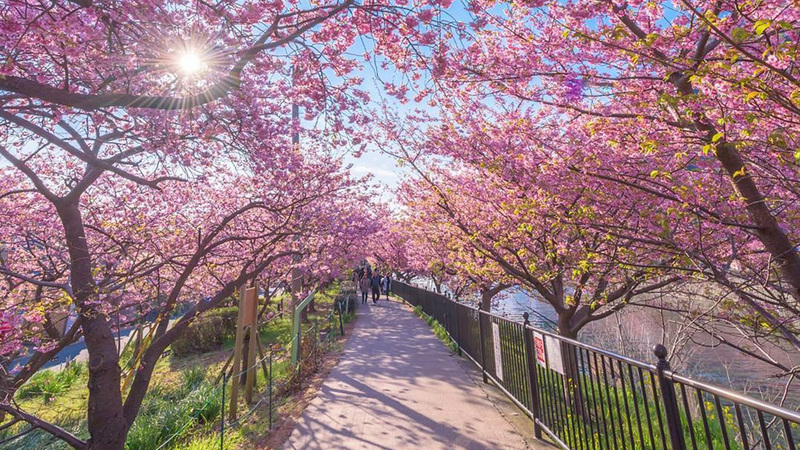 And this town has 8,000 cherry blossoms trees! 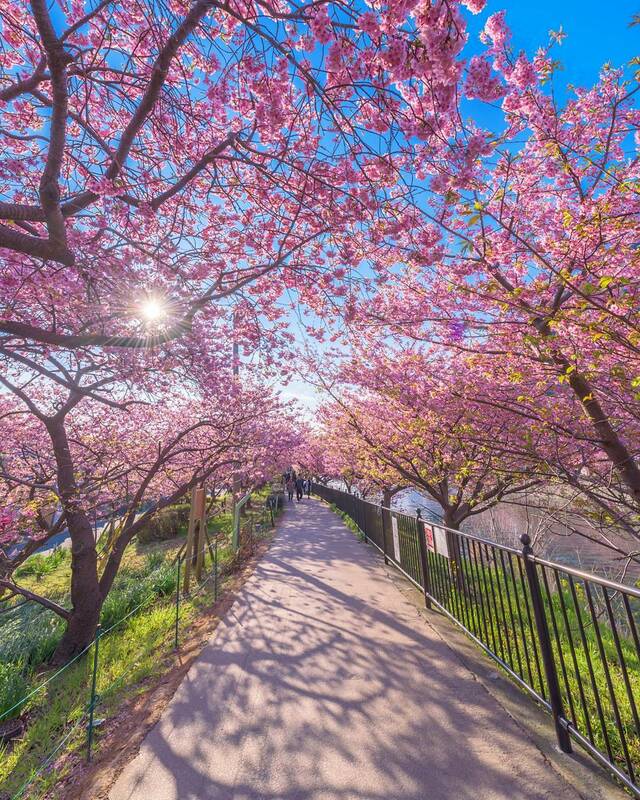 And the trees in Kawazu belong to a unique variety that blooms earlier than the others. 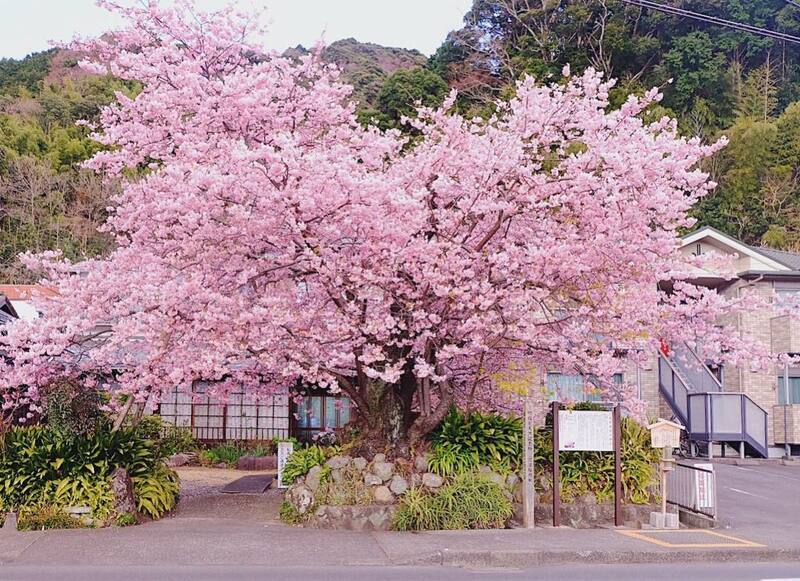 What's more, the town is just two hours away (by train) from Tokyo. 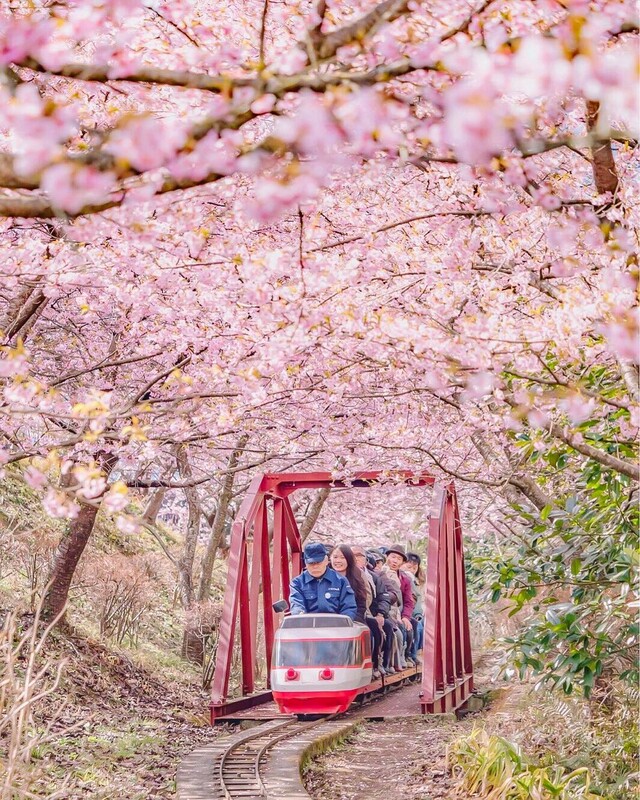 The tourists have the option to ride the locomotive train and go around the area where they'll get to spot and smell the flowers. 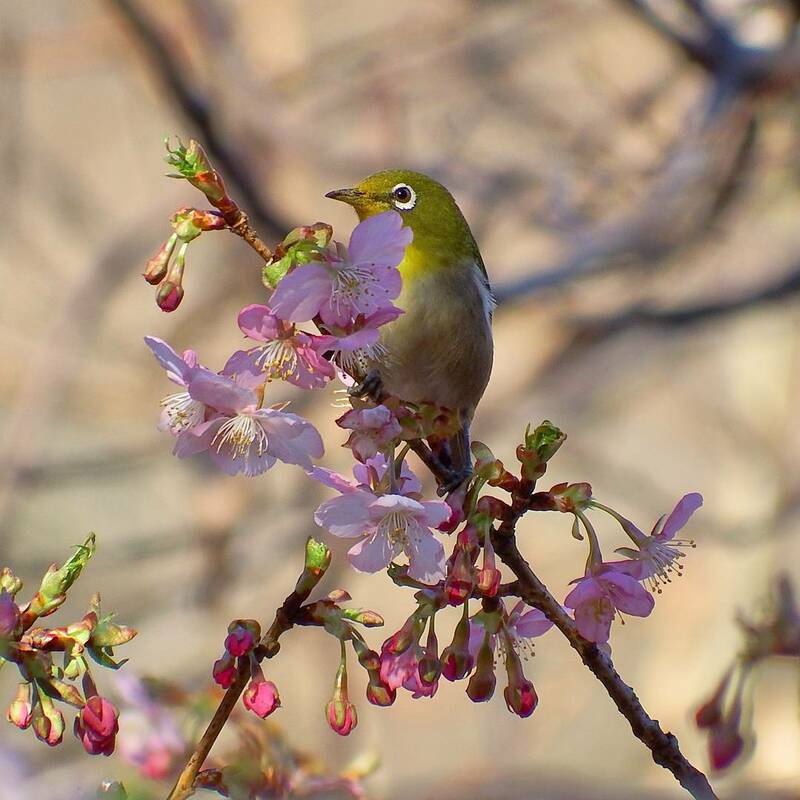 And some Japanese white-eye birds, too. And if you think going there at night is totally useless, here's a photo that proves it otherwise.